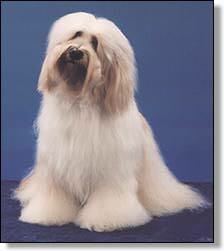 The Tibetan Terrier was bred for centuries in the monasteries in the high Himalayas. They were loved and used by the monks and lamas as mascots, good luck charms and watchdogs. This site contains several hundred pages of information on the breed.